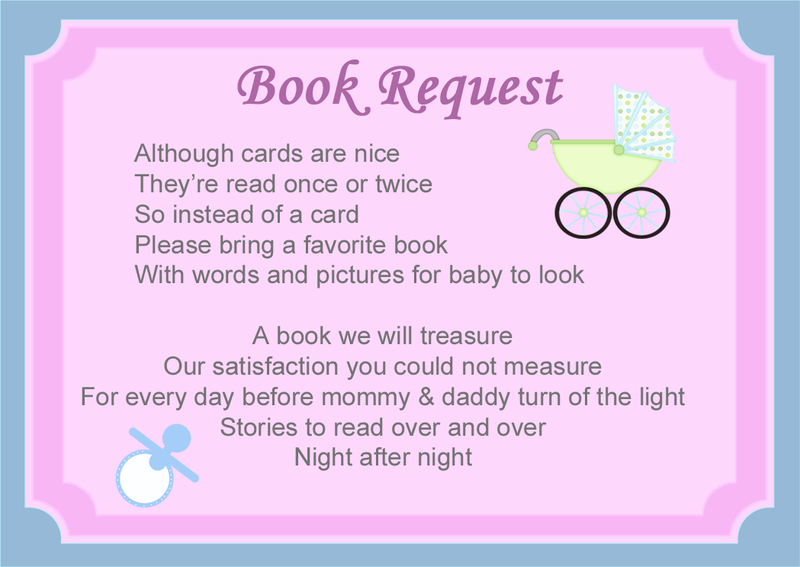 Many cards cost a dollar or more so don’t be shy to say in lieu of a card baby would prefer a book instead. A lot of people don’t have a problem with this since a card will be thrown out anyway a many baby cards cost just the same or very little extra for a book. It shows that the family values reading and its becoming quite popular these days. It can be said that books can be new or used and should be signed. Idea is to create labels to send so persons can just stick them in the book with their little words to mommy or baby. We don’t care if its old or new. 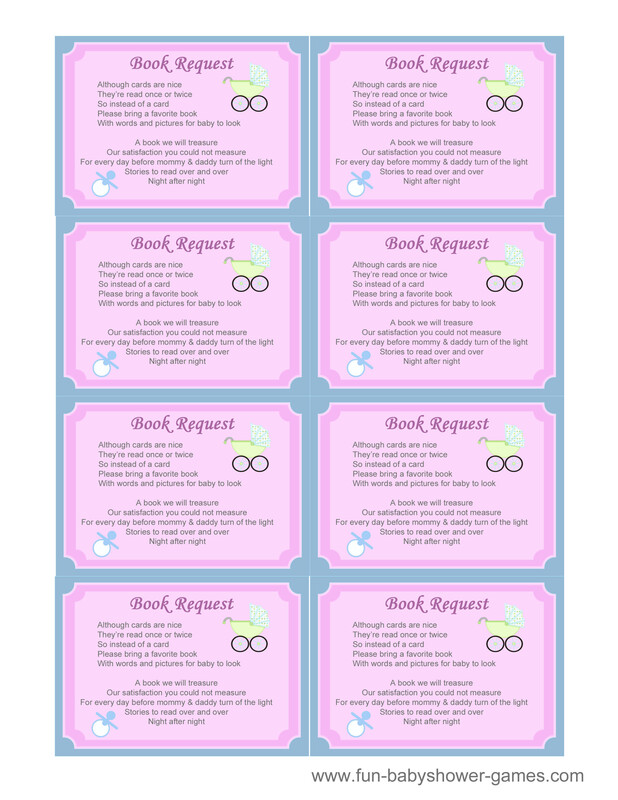 Download the book request card below. Its FREE! !